The ‘Maratha period’ of the seventeenth and eighteenth centuries is a defining era in Indian history. 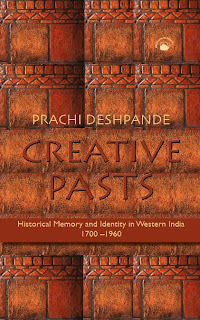 Prachi Deshpande examines this period for various political projects in the country at large, including anticolonial Hindu nationalism and the non-Brahman movement, as well as popular debates throughout the nineteenth and twentieth centuries over the meaning of tradition, culture, colonialism, and modernity. A study of quite extraordinary penetration and breadth, Creative Pasts mines Maratha history and Marathi sources as never before.